Thank you to everyone who bought our annual calendar. It is a sell-out and now and copies will soon take pride of place in many homes here and abroad. People have praised the 2016 calendar as the best yet and you can see why. 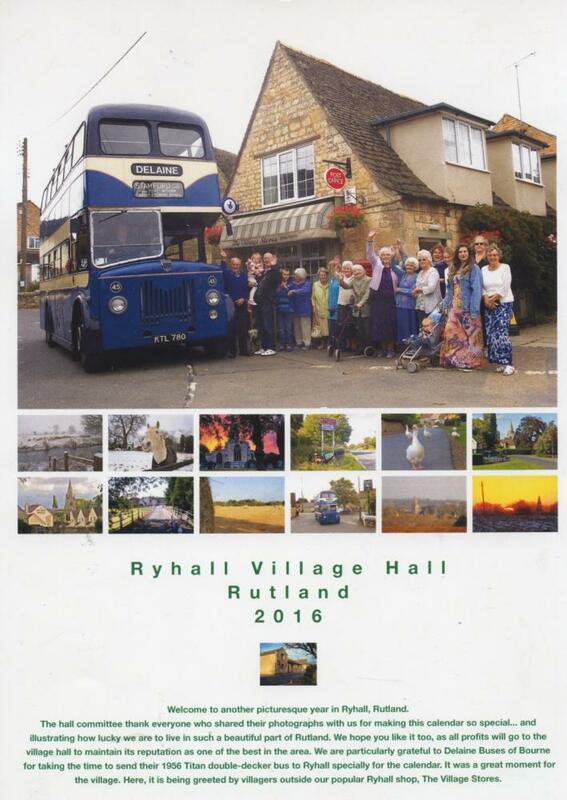 It features splendid pictures of Ryhall and Belmesthorpe and this year also shows the nostalgic return of a 1956 Leyland Titan bus to The Square, Ryhall. 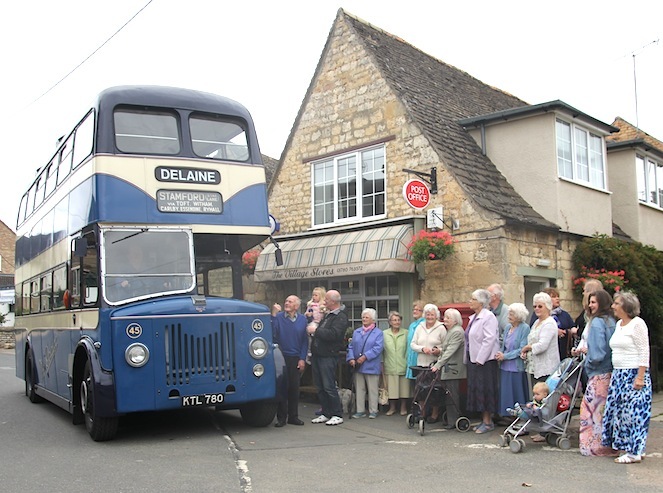 It was last here on the Bourne-to-Stamford run sometime in the late 1970s and we thank Anthony Delaine-Smith of Delaine Buses of Bourne for his generosity in arranging to have the splendid double-decker driven specially over to Ryhall for us. The driver, Kevin Delaine-Smith, was brilliant helping us too. We are also grateful to Graham Campion for the idea and Stella Smith for making initial contact with the company. It was a great team effort, all to support the much-loved hall. 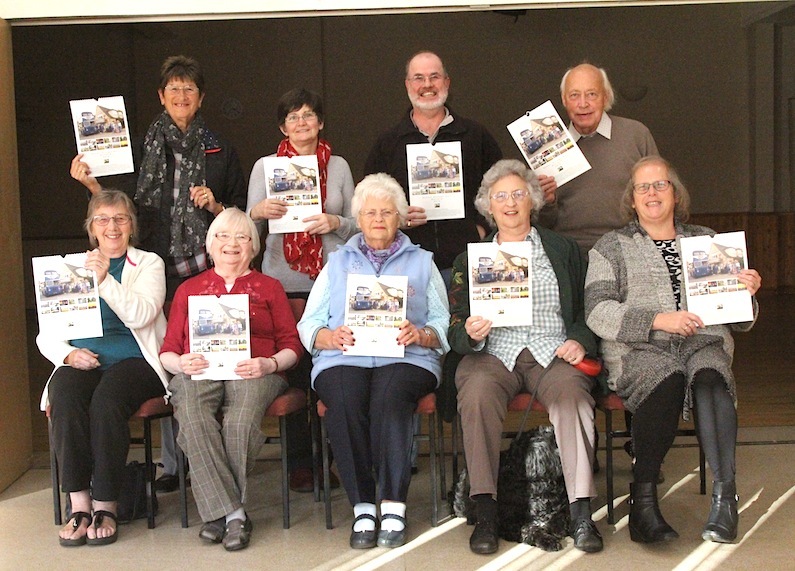 The 2016 calendar costs £5 and is available from The Village Stores, Ryhall, or any committee member, who are pictured above with the 2016 calendar. Please call Anne on 01780 754621 for details or email her from this website. * For the background details on how we made the calendar see the Fundraising section on this website and the story Double-decker gives lift to Village Hall’s 2016 calendar.